To it the tribes go up, the tribes of the Lord, as was decreed for Israel, to give thanks to the Name of the Lord. For there the thrones for judgment were set up, the thrones of the house of David. While the opening verse of the psalm is often used as a call to worship, there are later verses which are no less well-known—namely, those that deal with "the peace of Jerusalem." When the original singers of this psalm said, "for the sake of my relatives and friends," it no doubt meant one thing, but when a Christian in the 21st century sings it, I hope it means another. 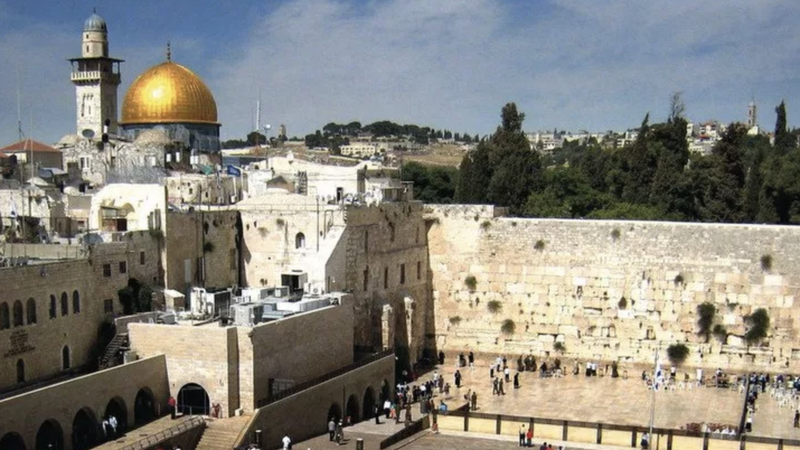 In my country we have little understanding of what Jerusalem really is, what it truly stands for, and who claims it as their home. We are so invested in the State of Israel that we ignore the plight of others who love Jerusalem no less. Middle Eastern Christians, for example, feel utterly abandoned by their American brothers and sisters in Christ. The so-called Christian holy places in Jerusalem, Bethlehem, etc., are not maintained by the popular TV preachers who shriek their allegiance to Israel, but by Arabs who have lived there for millennia, and whose ancestors were followers of Christ while mine were still worshiping gods such as Woden and Thunor, not to mention the goddess Frigg. Because we've been encouraged by our leaders to identify Arabs with certain terrorist groups, we seldom allow ourselves to see the truth—that all but a tiny minority are unarmed and peaceful. And among the huge majority of Arabs who are peaceful are the Christians of Palestine. But I don't believe Christ limited the concept of "relatives and friends" to people who shared our religion. The Christ of the gospels reached beyond the boundaries of his own race and religion to all who would take his hand or speak with him earnestly. Thus all of Jerusalem's people—not just Christians and Jews—are the friends and relatives for whose sake I am to pray for the "holy" city's peace. Can peace be within her when there is no justice for the Christians or Muslims whose longing cannot be fulfilled? If "the house of the Lord our God" is now among the people of God, wherever they may be, can I consider one government's exclusive rule over a city considered as holy to many nations to truly be just? Though I find in the New Testament a precedent for respecting my brothers and sisters in Jerusalem and Israel, I find there no demand to give allegiance to any state. Zion, Jerusalem, Israel, and the Temple are all spiritual realities that demand my love and loyalty. But such a loyalty must not require me to turn a blind eye to the persecution of one group by another.